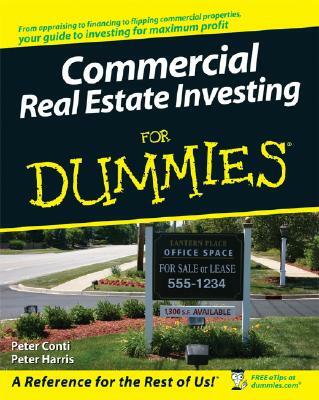 In the commercial real estate business you will eventually come across a distressed commercial property. Some of these distressed properties could turn a huge profit if you could just find a way to buy them and fix them up. I am going to share with you not only what a distressed commercial property is, but how to locate and buy them. 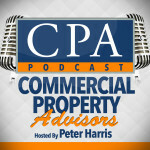 What is a Distressed Commercial Property? A distressed commercial property is an under-performing asset that significantly challenges the owner in one of three ways. A distressed commercial property could be physically challenging the owner by being run down, obsolete, or having deferred maintenance such as a leaky roof or exterior/interior problems, but no money to fix it. A distressed commercial property could be financially challenging the owner if it is producing a negative cashflow each month, which forces the owner to pay out of pocket. Insufficient cashflow to handle the typical operations of a commercial property could cause it to become distressed. A financial distressed property could also mean a property underwater, meaning they owe more than it is worth. Or it could be in financial distress due to some sort of personal issue such as divorce or sickness. All of the issues found in distressed properties, can be turned into opportunites. You can fix most of these issues, and once you fix them, it could equal great profits. If I am personally unable to fix something for one of our student deals, I can pick up the phone and call someone more experienced to help me out. Each deal has a story. Your job is to get the story, and the more of the story you get, the better you are able to buy the property and know how to buy it. You will know which financing strategy will work and what your exit strategy should be. It is very important to get the story on any distressed property you are interested in. If you are a beginner, do not try to do this yourself. Our students are able to get expert help from our company, because we help them put these deals together with military like precision. It is crucial that you have an expert guided plan to do distressed commercial property deal successfully. When Does it Make Sense to Buy a Distressed Commercial Property? When the after repair value of the distressed property is greater than the acquisition cost, the repair cost, and the holding cost, that’s when it makes sense to buy. The after repair value (ARV) means the market value when a property’s stabilized. So when the ARV is greater than the sum of the acquisition cost, repair cost and holding cost, it makes sense to buy a distressed commercial property. We know that we want the ARV to be higher than the total cost of a property, but by how much? My magic number is 75%. So you would take the total cost of the property and divide it by 75. So if my after repair value is 1.8 million dollars then it is a good deal. The 75% target is important because it is important to have a goal number and it is also important for refinancing reasons. When you are done repairing your property and it has stabilized, it is going to have an after repair value. If the ARV is 1.8 million the lenders will lend you 75% of your after repair value as a new, permanent loan. You typically buy a distressed property with hard money or a bridge loan, so after it is fixed up you will need to refinance into a more permanent financing called a, “take-out loan”. So if the ARV is 1.8 million and the bank will loan 75% of that then that equals 1.35 million which was your total cost of the property. This means the loan will pay off your original hard money loan, plus reimburse you for your repairs and holding costs. How to Find Distressed Commercial Real Estate? You can find distressed commercial real estate the same way you find performing commercial real estate. Now you can use these five things to find good deals, but GREAT deals are created. Great deals are found by getting the story of a distressed property that you have come across. They are also found by getting expert help on how to proceed with a distressed commercial property. In order to purchase a distressed commercial property, you have to have the right mindset. The average investor will know the signals of distress, but do absolutely nothing. They have a customer mindset, which causes them to focus on what something will cost rather than the potential benefit. Conventional means a bank or traditional loan office. With conventional financing, the lender will look at three things to underwrite a deal. They will qualify you. They will qualify the property, and they will qualify the area of the property. The lenders will also look at the financials of the property which is a problem with distressed properties. Most likely the financials of a distressed commercial property won’t qualify for a typical loan. A bridge loan, on the other hand, is a gentler form of hard money. It’s called a bridge loan because it allows you to buy the property, fix it up, and then it bridges you towards permanent financing.. So a bridge loan is a temporary loan. The interest rates are 7 to 8% and will only cost you 1-2% upfront origination points. My team and I typically purchase distressed commercial properties with creative financing. Most distressed properties have financial and physical issues that cause traditional funding to be difficult or sometimes impossible. With creative financing you can create your own terms and be as creative as you want, as long as the seller agrees to the terms. This is where the seller becomes the bank. The seller can give you your first or second loan on the property in order to close the deal. 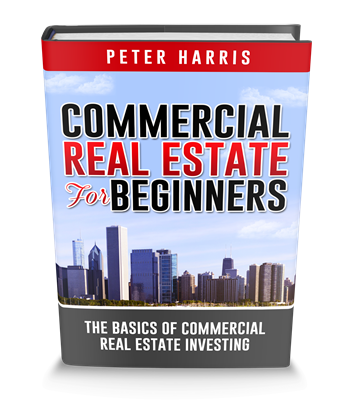 I have a video on Creative Financing With Commercial Real Estate that explains seller financing in more detail. A master lease agreement involves putting a mortgage over the seller’s mortgage. There is no bank, credit check, or appraisal required, and you can be as creative as you want when using a master lease agreement. I have an extensive video on this concept as well. If the seller had code violations with the city but no money to fix them, you could come in and contribute money to fix the violations with part ownership of the property. If you have watched any of my videos, you already know I stress the importance of having an exit strategy before buying a property. In fact, when you are making an offer you should have several exit strategies already planned out. You buy the property, fix it up, and sell it. You can take the earnings as payment or invest it in a larger property in order to do a 1031 exchange. Buy the property, fix it up, and then hold long term for cash flow. You will need a long term loan with a low interest rate. Many people choose this strategy as a way to fund their retirement. They replace their 401K or self-directed IRA with this exit strategy in order to establish long-term income. You buy the property, fix up, and cash out refinance. A Cash out Refi is where you pull the cash out that you put in and then hold long term. This is called the syndicator strategy because a syndicator pools other people’s money together in order to purchase real estate. Their strategy is to buy it, fix it up, pull the down payment out over time and then hold it long term for cash flow. In my opinion, this is the best strategy for wealth accumulation and portfolio growth. I find it to be the most rewarding and fun strategy as well. You buy a great property, at a good price and eventually get to the point where you can pull out all of the cash and hold on for long-term cashflow. A student of mine found a large apartment building with 100 units that had a 60% occupancy rate. Lenders consider any property with a 20% or more vacancy rate to be distressed. Not only did this property have a 40% vacancy rate, it also had a 50% economic occupancy. This means that even though the property has 60 tenants inside, only 50 of those tenants are actually paying their rent. The property was also very close to foreclosure so the seller was in big financial trouble. The apartment building was financed through a hard money loan on top of a seller-carry second mortgage. We chose to use hard money because the occupancy rate was an issue for traditional loan offices. A seller-carry second mortgage was used because the student had very limited funds and it was the only way to get the return on investment required to make the deal happen. We are currently 1 ½ years into the project and in four years, there is a 2.5 million dollar projected profit. It turned out to be an amazing deal and everything has been working out great. The second deal was a 6300 square foot building located in a great area but in very poor condition. The owner spent a lot of time out of the country and had become very disinterested in the property. Because the owner is so disinterested, most of the tenants have stopped paying their rent, even though it is well below market. The property was purchased at $57 per a square foot using 100% investor money. Comparable sales of similar buildings in the area sold for $98 a square foot. The exit strategy is for the student to do a 1031 tax deferred exchange once he sells the property. The process can take up to two years, but once it sells, the student can buy a larger property with the profit, thus deferring the capital gains tax payments. I love it. These principles are what have been taught. However, your dissemination is very clear and mentor like without any salesmanship. Your approach seems very honest and straight forward . Very sensible suggestion to build a portfolio of properties very economically with least risk so long as we have good seed capital. Great idea to try out? Maybe. Depends on what type of retirement plan you have.